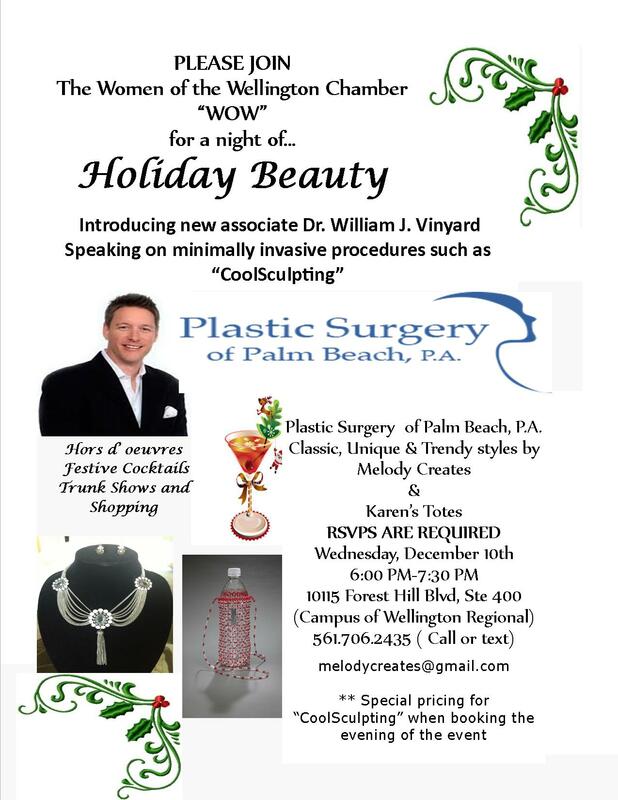 Venue: Plastic Surgery of Palm Beach, P.A. PLEASE JOIN The Women of the Wellington Chamber “WOW” for a night of…Holiday Beauty! Plastic Surgery of Palm Beach, P.A.